Former England manager Sven-Goran Eriksson says the team would have a better chance of beating Brazil than Sweden in their World Cup quarterfinal on Saturday. Eriksson told The Mirror that England face another loss comparable to falling to Iceland at the 2016 European Championship. Iceland was short of big names but big on team, and Eriksson described Sweden as "world champions of team spirit." "It would be easier for England to beat Brazil than to beat Sweden, in my opinion," said the Swede, England's first foreign-born coach. "Sweden will be more or less the same as Iceland in Euro 2016 - they don't have the best footballers in the world, and none of our players would play in the first team of the biggest clubs in the world since Zlatan (Ibrahimovic) has left. "But, as a team, the way they work together, they are one of the best. You won't find a better team - Sweden are world champions of team spirit." Eriksson coached England at the 2002 and 2006 World Cups, reaching the quarterfinals of both. Meanwhile, Ibrahimovic said the quarterfinal would be decided by "the team that best can handle their feelings will have an advantage." Sweden's all-time leading scorer told Sweden's Expressen newspaper "it's not just about how good you are," adding England can be "tough and difficult to score against." 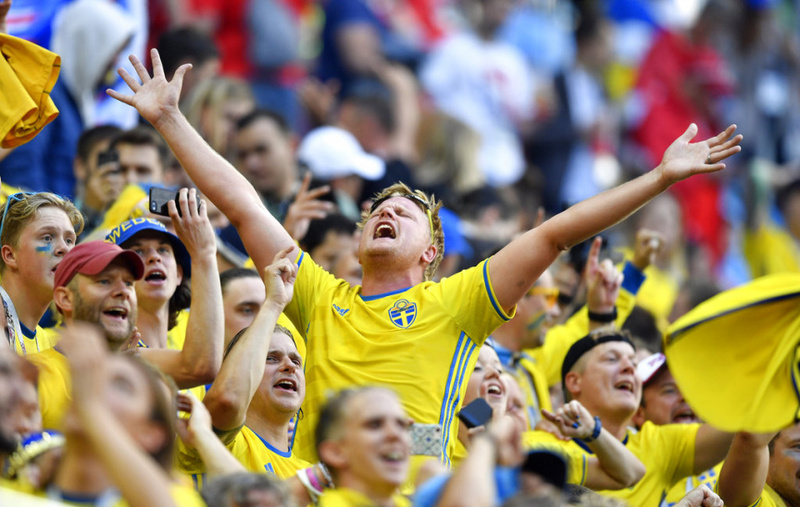 However, he believed Sweden can beat England "if they continue what they've done in the World Cup so far." Ibrahimovic scored 62 goals in 116 internationals until retiring from Sweden duty after Euro 2016.